We all dream about winning the lottery, don't we? Whether it is saying goodbye to the day job or treating our loved ones, there is no doubt that winning the lottery would have a massive impact on our lives. In this post I am going to share my lottery day dream with you. Moving to America is definitely one of the goals that we are working towards. However, it is a really expensive process. The route that we are going to take involves having to invest $1,000,000 into a new business in America, and comes with lots strict criteria, including how many people we have to hire within a certain time frame. As well as getting into America, there are other associated costs. For example, we would have to pay for healthcare and copayments. Not to mention moving our cats and the belongings we want to take with us. If we won the lottery then we would be able to bring this process forward by years – maybe even by decades. Whether we are buying in America or the UK, we are desperate to have a house with our own swimming pool. Whilst it feels like a very ‘out there' dream, it is again something that we are working towards. There are so many places that we would love to travel to! We definitely want to travel first class somewhere in the world, even if it is just once. 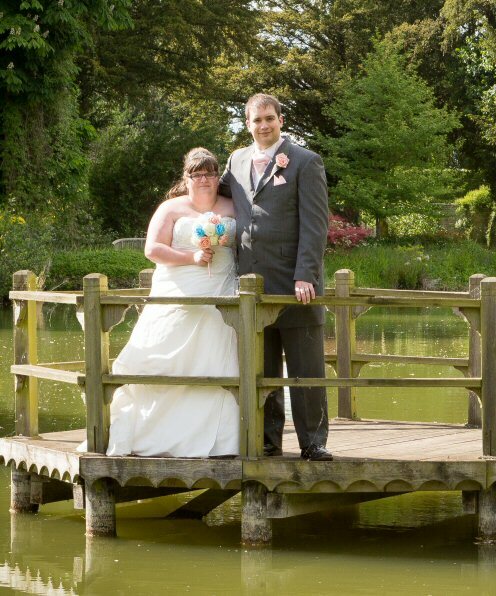 We would love to explore more of America, and if we are able to be based in Florida then we would be close to the Bahamas and the Caribbean, with gorgeous clear blue seas. I only started my investment journey last year, opting for a stocks & shares ISA. Saying that, I do have an investment property too. I would love to have the money to invest into a more diverse portfolio, and best case scenario, making enough money from the investments to live off. I'm usually very thrifty and hate spending money on myself. You will often find one of us at the reduced shelf in a supermarket, trying to save money on our regular spending. That said, I recently treated myself to a new piece of jewellery and I love wearing it. It regularly reminds me of hard work that I put in…and although winning the lottery is more luck than hard work, I am sure I will appreciate having a few of the finer things in life. For me, my wishlist would include more Disney jewellery, more Kate Spade bags and spending money on decent plus sized clothes. For Tony it would be new computer games on release day, instead of waiting for them to reduce their prices. Above all, we would really love having the gift of time. Working for ourselves means that although we can take time off whenever we want, the reality is that we absolutely love growing our business and we don't often take time off. Having more time means that we would be able to see our friends and family more, and get around to doing those niggly jobs we always keep putting off. Playing the lottery can be really fun, but how would you like to increase your chances of winning by playing lotteries from around the world? Lottoland allows you to do just that. Instead of buying a lottery ticket on their website, you are actually betting on the outcome of the lottery. This means that you have the opportunity to play lotteries from all over the world – lotteries that aren't normally accessible to us. This includes Powerball, an American lottery with massive jackpots. A massive $1.6 billion was one in January 2016. Imagine what that sort of money would do for you!? Since you are are not playing the game direct (they often have rules about non-residents playing), by betting on the results you can play plenty more lotteries than we normally get access to from our local cornershop. It might sound confusing, but you play in the same way as the lotteries you know and love. You simply choose your numbers and then wait for the draw. If you want to save time with a hassle free service then you can also choose a subscription model. Lottoland have kindly teamed up with me to offer one lucky winner a £50 credit to spend on the Lottoland website. 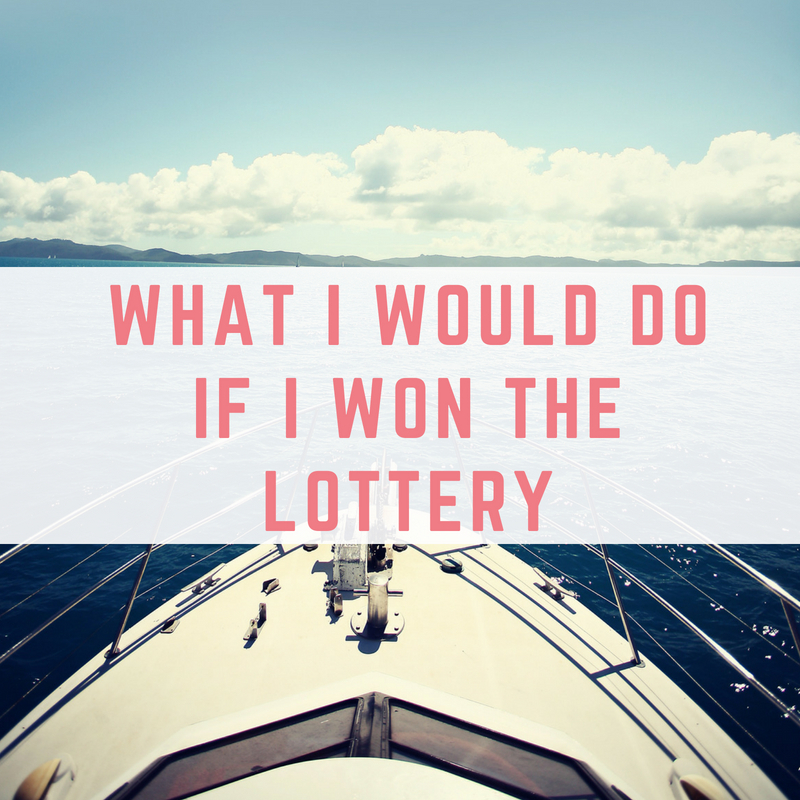 To enter simply leave a comment on this post telling me what you would do if you won the lottery. Once you have commented, complete the Rafflecopter widget below to get more entries. The competition will expire at midnight on Wednesday, 8th August 2018. You will need to be 18+ to enter, and a UK resident. No cash alternative. If I won the lottery, I would love to buy my own home – nothing too big, just somewhere to make my own. At 46, I am still renting! I am also a cat lover and would like to spend some of my time volunteering at the local Blue Cross Centre where two of my cats have come from. Lastly, I would love to travel more and Japan is high on my wish list. It would be wonderful to travel first class just once in my lifetime. Where do I start lol. If I won the lottery I would buy myself a house so the girls could have their own room and a utility room always wannted one of them. I woild make sure my mum is well looked after and travel. I would buy a vineyard in France and make my own wine in the sunshine. 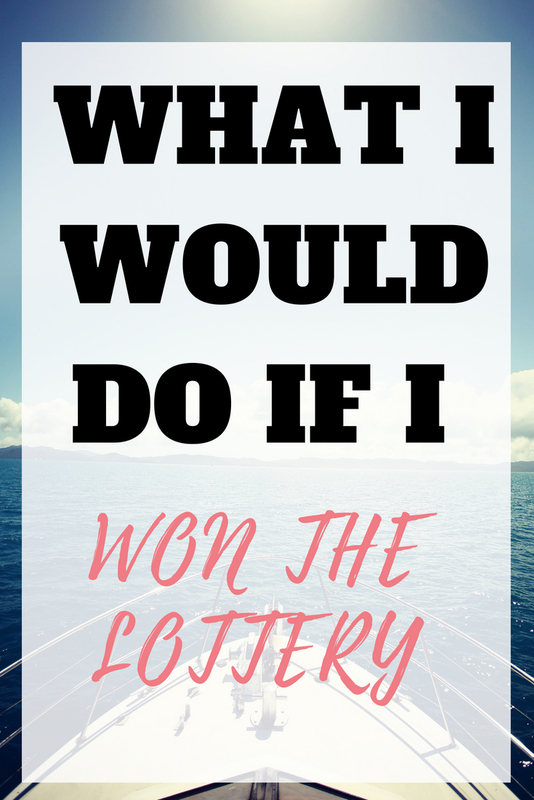 What would I do if I won the lottery? I’d try for a baby, knowing my husband and I (two school teachers) don’t have the stress of mortgage payments, bills etc whilst I’m on maternity leave. I’m currently going through a miscarriage, so this would be really appreciated. I’d also treat my parents to a lovely holiday. If I won the lottery the first thing would do is pay off my mortgage and take a really nice holiday. Then I’d take some time out to press the reset button – get into shape, hire a nutritionist and join a professional matchmaking service! I think I’d spend the money on finally furnishing our home! I’d do the house up. It’s in dire need of a makeover! An amazing family holiday somewhere sunny! I would buy a biger house with a huge garden and more chihuahuas! I’d buy our (rented) house & a new family car, plus a lovely holiday! I’d love to go on a big fancy holiday abroad with all my family. I would do all the sensible things first – house, car, family,debt, then onto the fun! Holiday, shopping, a couple more dogs! And something very boring that i want but cant afford – a fitbit! If only!!! I’d spend it sending my daughter to uni. She wants to be a scientist and we need more females in that field. I would start my own teaching supply agency and specialise in science and maths recruiting great teachers for long term placements….oh, and a bigger house with a pool ! If I won the lottery, I’d pay back all my debts, then promise my new wife her house of her dreams she keeps banging on about to me, and buy her that range rover she wanted since day one. I could care less about myself but my son and wife I want to give them everything. I would get a cottage in the lake district and spend the rest of my days fishing and drinking quality wine. I think firstly I’d sit and order a pizza to share with my partner to let it settle in. Then I’d pay off any debts I owed. I’d buy a car, get passports for my family, and go on our first family holiday (unsure where to yet though…). I’d move into a bigger house, and then be able to get a dog! I’m sure there would be lots of little extras along the way, but those are the main ones. Oh and if I won BIG.. I’d move to Canada! Have a nice loooong holiday! I’d buy a new house, a yacht and a racehorse. If I won the lottery I’d buy a flat in London along with the most comfortable mattress in the universe. My dream is to own my home, and travelling is also a big thing i would love to do more…. I would buy a flat in Glasgow and a couple of holiday homes. And have a massive splurge on asos! Pay off the mortgage, invest in property, give a lot away to friends and family and charity. Would also love a piano! Oh I would firstly go on a magical family holiday somewhere really exotic then I would come home and be sensible, buy a house and gift some to my family. If I won’t the lottery I would love to pay off my debts and buy a house outright. I would also pay for my parents to have the damp fixed in their house, or just buy them a new one. And I would take my sister and her family on a relaxing holiday because they are one of them families that never stops. A priority for us would be to clear our mortgage; this would give us a huge chunk of money each month which we could then invest in making our early retirement dreams a reality. It would be lovely to be able to spoil friends and family a little, before splurging on holiday. I dream of touring New Zealand but our budget sadly won;t stretch to it at the moment. As we are all supporters of Manchester City and are Seasoncard holders I would treat myvdamily to a Private box at the stadium. Give them all some cash and I would love to take a sailingbholiday on a Private yacht around the Coast of Croatia on the Adriatic. I would also donate to Hedgehog rescue charities- my favourite creatures. If I was lucky to win the Lottery. I would do a few things with my winnings dependant on the amount won. > Become a silent/secret Donor. By this I mean donating to those who are in need. e.g. Just giving, go fund me pages. Making there wishes become reality. Like yourself Emma I would love to move to Florida but I would pay off any debts, buy three houses for my parents and brother and myself nearby (we all all dotted over the world) and stay at The Grand Floridian Hotel in Orlando. Then save aside money for my children and donate money to charity. I would buy a house first then make sure all the family are ok.
Travelling would be VERY high on my priority list if I won the lottery. I’d love to take a year out and travel to a lot of the countries on my to go to list. I’d also love to do some voluntary work abroad, in developing countries and try and help invest some money into projects that I really believe can turn around people’s lives. I think the very first thing I’d go out and buy though would be a new car! I’d firstly retire, pay the mortgages off my childrens houses and give them a nice nest egg to make sure they were comfortable. I’d buy a new house for myself and my husband then go and visit all the places we want to see and experience all that life has to offer in our retirement together!! I would buy my parents and myself a house, and open a cat shelter/cafe. I’d like to buy a small island so that I could live on it with my family. I would pay off my mortgage and my best friends. Then I would continue working, but maybe tell people a few truths before changing to a job I would love to do (but can’t afford to do!) and in between I would go on a around the world trip! i’d start a business – probably a nightclub. A new car, buy a house, a luxury holiday. Probably in that order. I’d buy an enormous house and become a Kardashian, well maybe not a Kardashian but I think i’d definitely move to lala land! If I won the lottery I’d treat my little boy to a holiday and buy a house & treat my little one to some toys n days out I’d also share it with family and help less forchunate . I would use the time away to decide where we would like to live and what type of house we would want to live in. Family and friends would get a lump sum and I would choose a few charities to support. I’d also want to (anonymously gift money to local families, envelope through the door type of thing. Then all the usual new car etc.